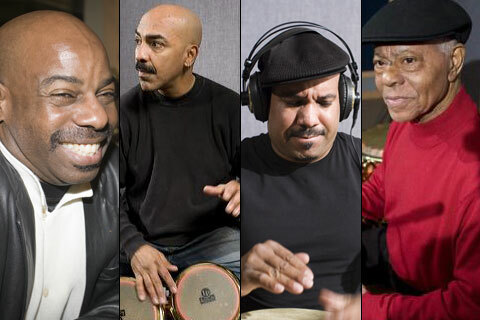 On January 17, 2007 I was able to recruit California's finest musical talent to perform 4 Profiles in Greatness© video solos and to do an extensive video interview with one of the most influential percussionists of all time, Armando Peraza. Armando spoke of integrating the Palladium, his late beginnings in music, his compositional work with George Shearing and his travels across the country with multi-instrumentalist and confirmed cheap skate, Slim Gallard. We also spoke of his last performance with Carlos Santana in Montreux, Switzerland on July 9, 10 and 12th of 2006. 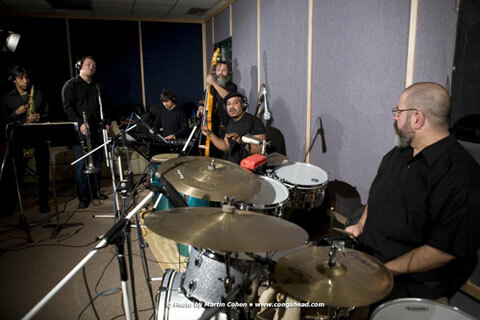 Performing for this session were: Kevin Ricard, Ron Powell, Joey Deleon, Armando Peraza, and the Banda Brothers Band.